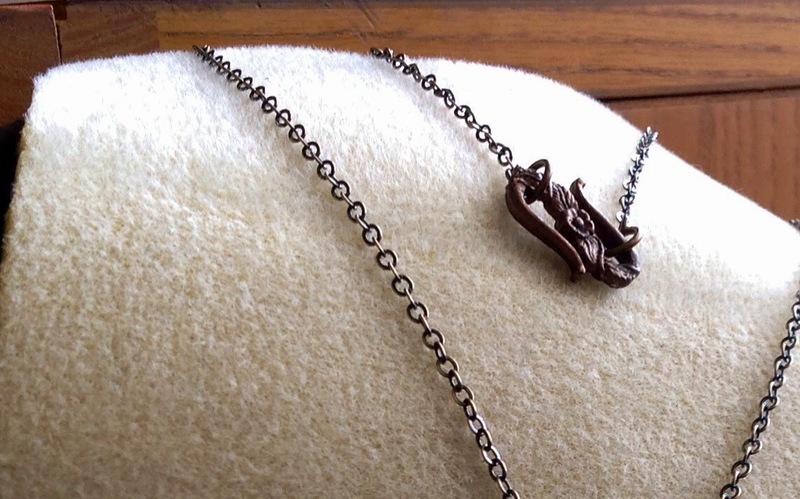 Armored Mermaid: Blog Hop Reveal is HERE!! I love love love your bracelet. Great job. I love the earrings, so charming! Excellent work! Love what you did with the starfish...he really shines! 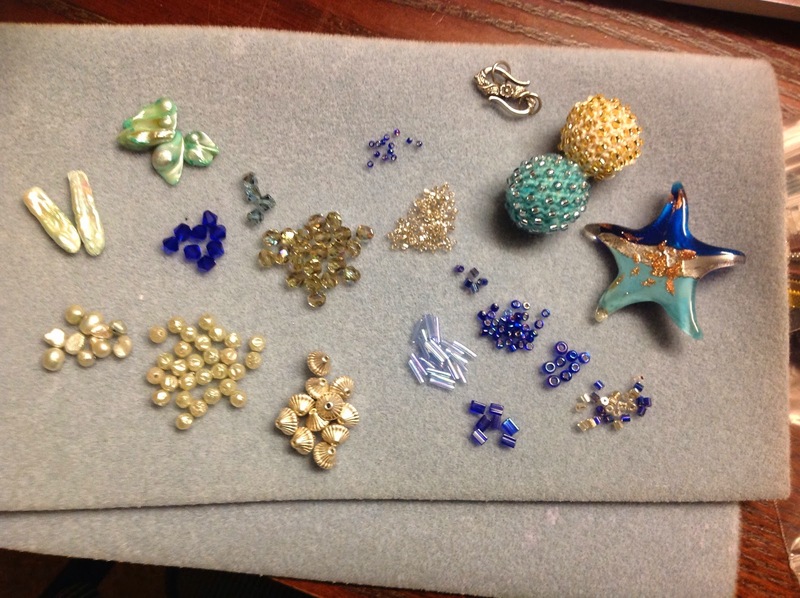 And I am getting into beadweaving too...love it! Thanks for joining and posting! What a wonderful way to use your beads, love the beaded beads and your starfish necklace is adorable. How wonderful that you got to learn something new and used it to create such lovely soup, wonderful job! You did a little bit of everything, bead weaving, wire working and stringing. You showed all the soup to the best advantage. Great job! Loved the color scheme. The bracelet was my favorite. I love your beaded beads - you've done a great job with your soup. They're really fun pieces. So beautiful pieces, especially I love the earrings. They lokks like tiny little turbans. Great use of your soup. Really like the sparkly charm bracelet and think you showcased the focal very well. Great pieces, you did an excellent job of using your soup is the most beautiful way. The focal is awesome! 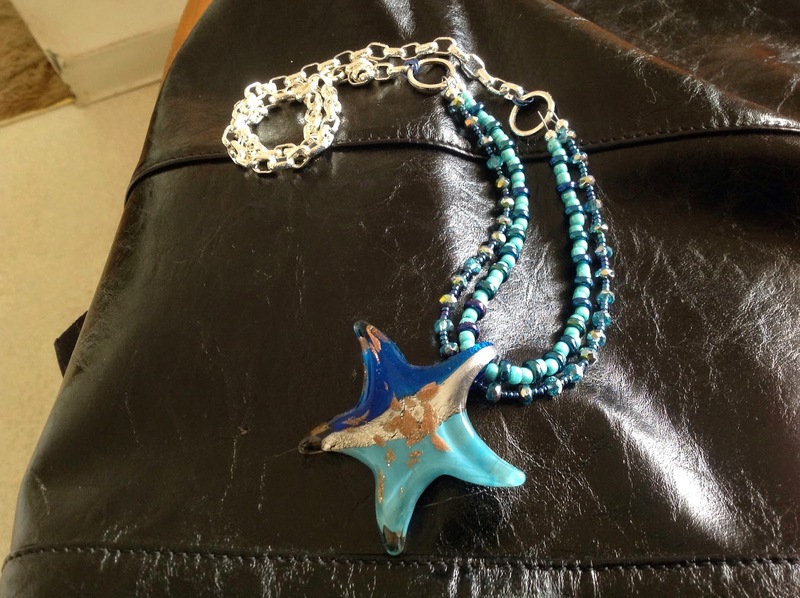 I love the sea star piece! The strength and simplicity of the necklace really stands up well to the bold pendant, and the chain at the back keeps it dainty! Great stuff, and yay for new skills! Lovely pieces - you challenged yourself beautifully! GREAT job! I LOVE the weaving! I'm curious what you used for that. Such a GREAT job and the bracelet is to die for! 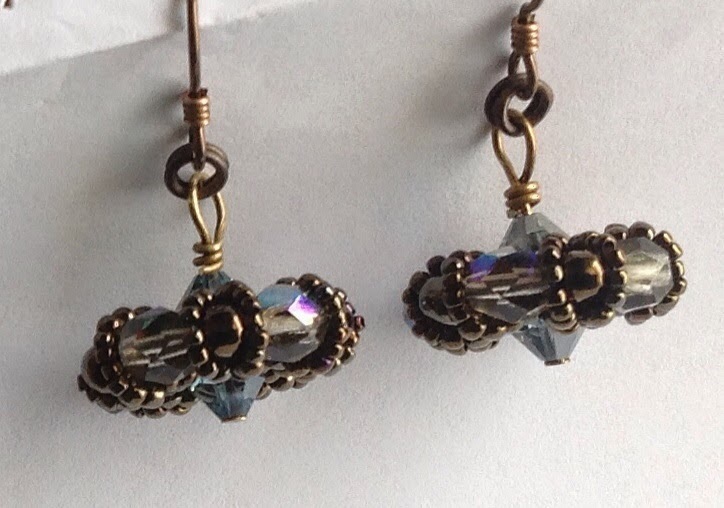 The first pair of earrings is truly amazing. Love your work!!! Beautiful designs. I am impressed that jumped into the deep end of bead weaving for this. 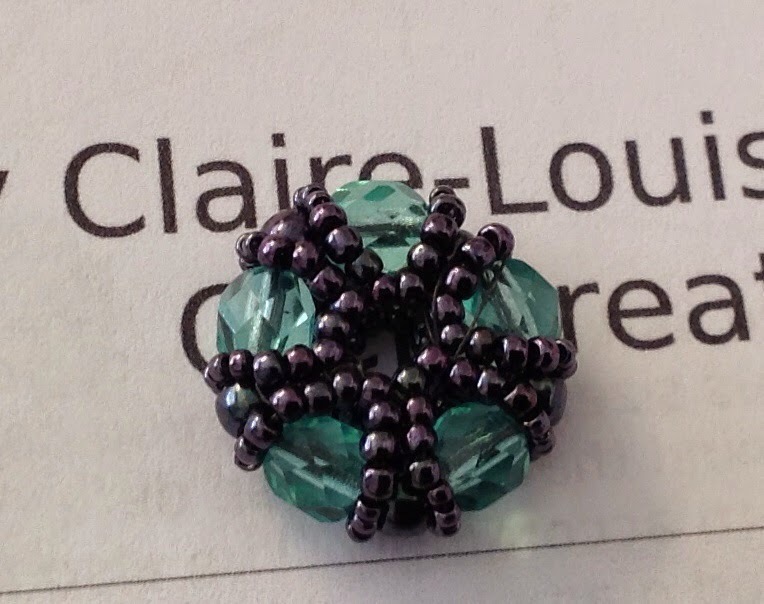 The woven beads remind me of little sea urchins in the top down view photo. I like your bedwaving and I love what you did with the starfish...he really shines! Excelent work! You are one talented lady! You did a Soup-er job with your bead soup! I'm inspired! I love to see people try new techniques with their soup. Your pieces are inspiring! Nice job! Wonderful beadwork! Love your beaded beads. Yes, that necklace is perfect for that big funky focal. I love it! It's my favorite. It is great how this soup has push you into learning new techniques. 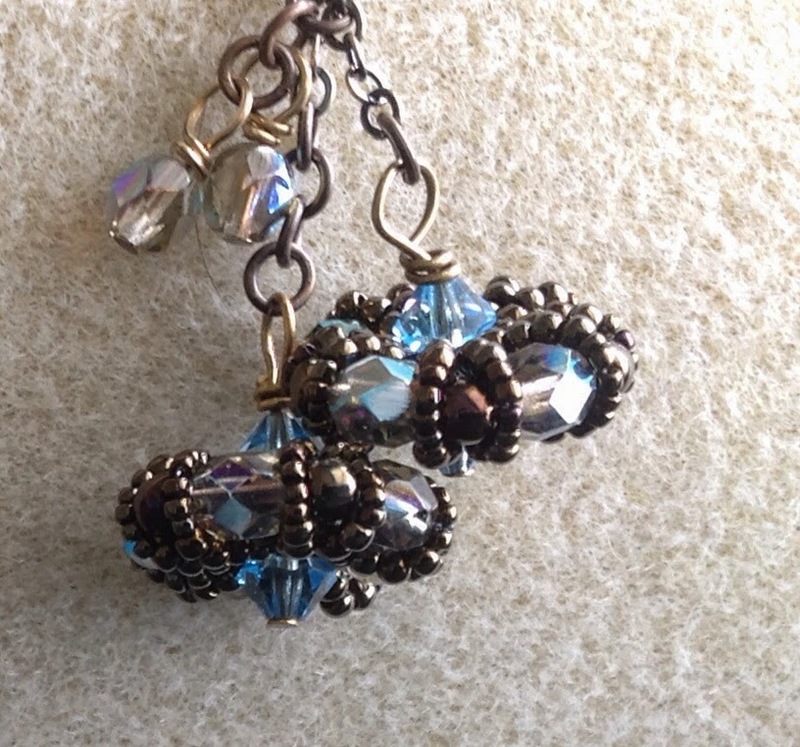 Love way to embellish those crystal beads. very creative. 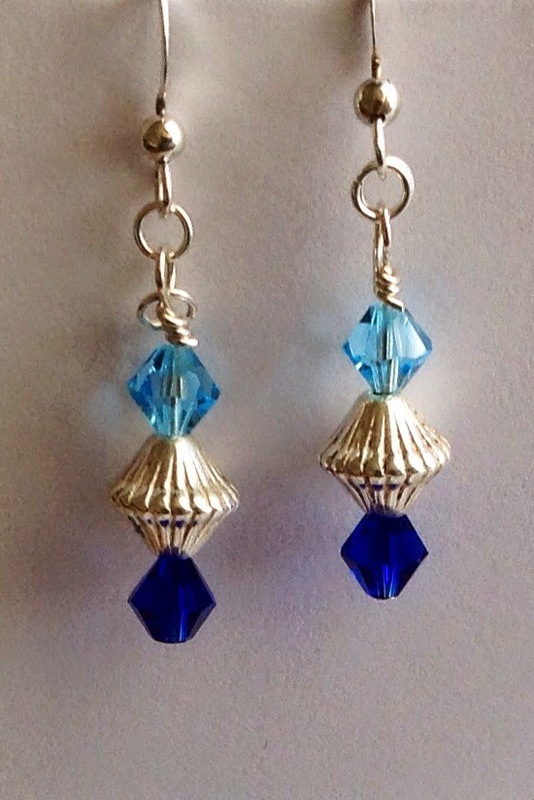 love the maritime touch in your pieces! Lovely pieces - love your bead weaving!! Wow you learned all those bead-weaving skills so fast. love the earrings. As seedbeader I often wish I had better wire working skill. well You do. I just love what you did with your focal! That double strand necklace is great. Well done, I love how you used the beautiful starfish very innovative! Hi Alisa, Great job using your soup.Kudos to you for learning bead weaving. You did a good job of it. Your charm bracelet and earrings are pretty. Really nice pieces..so cool you learned bead weaving! I really love how you embraced the art of bead weaving!!! 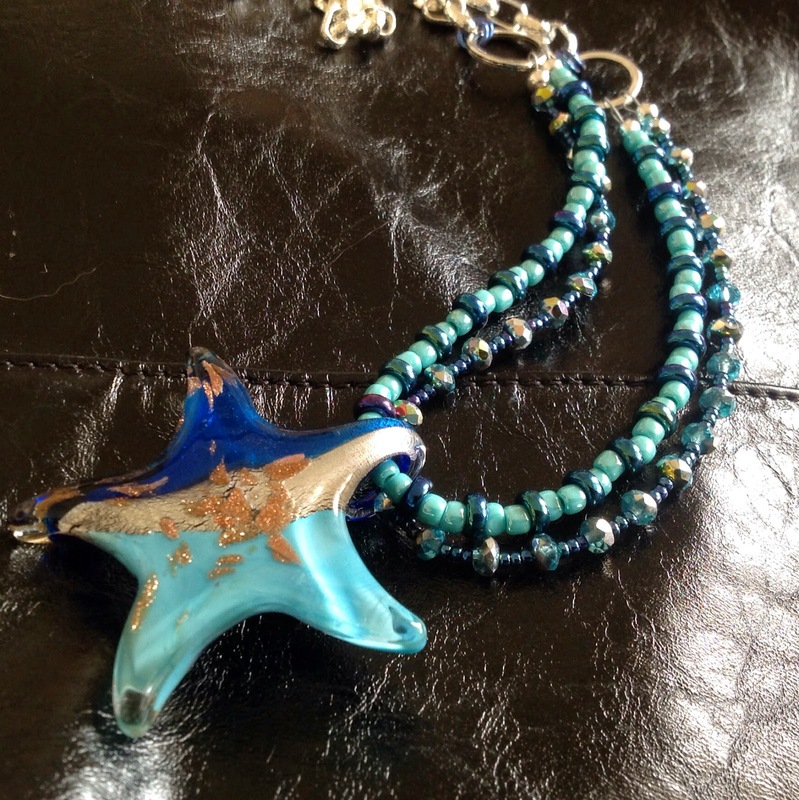 i love the designs and then the bracelet and matching earrings and the last necklace with the star fish focal. These are all very well done ! Great Job! Have a Blessed Day! Very pretty pieces..Love the way you put your soup together!! I really like that you saw the challenge in the beads you received, faced it head on, went for it, and made some beautiful pieces. Excellent work! 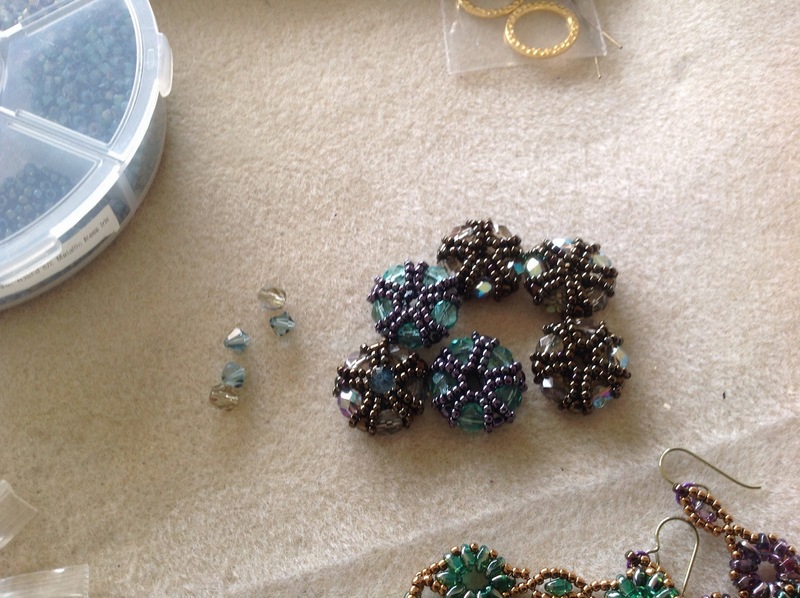 Your first attempts at beading look gorgeous! Challenge accepted! I like all your designs and especially the last necklace - the two beaded strands make it special! 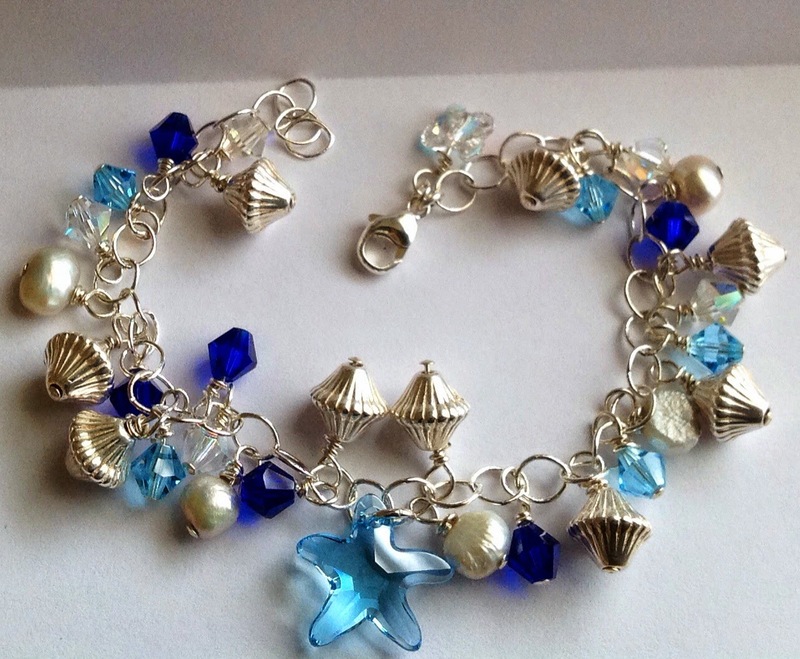 I love the starfish bracelets and the simplicity of the matching earrings. Learning something new for the hop is always my favorite thing to do. It's great that you challenged yourself! Your pieces are so beachy they will all go together well. I like what you did with the seed beads and how you made them their own beads. Great job!